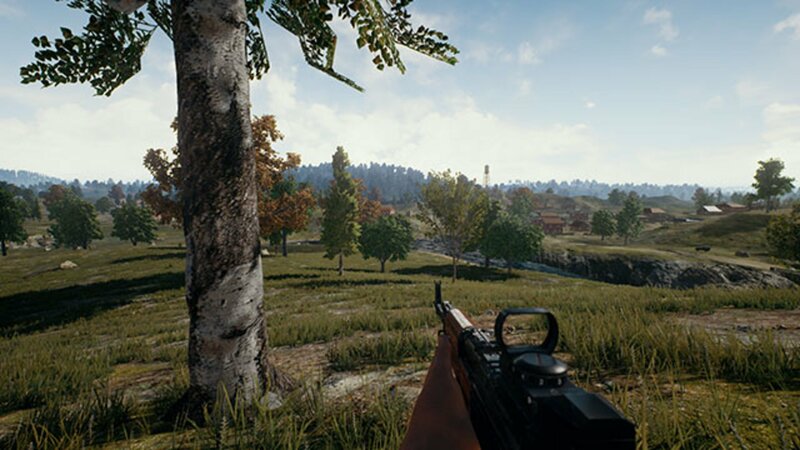 A guide to all the weapons in PUBG, including gun stats, strengths, and weaknesses. High damage. Hits incredibly hard at close to mid-range. Hard to hit shots at range. Slow reload speed and fire rate. 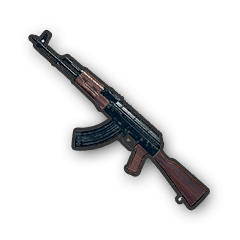 Lead your shots at range to compensate for the AKM's low bullet velocity! Very accurate. Good for controlled distance shooting in single-fire. Recoil may make burst-fire at range difficult. The gun has the highest muzzle velocity of any Assault Rifle! Smooth handling and decent damage. The all-around workhorse. Slow full-auto firing mode. Don't spray and pray. The gun can take a variety of attachments, so pick and choose what works for you! Very accurate. Even better with a full set of attachments. Lowest in-class impact power. Enemies won't flinch as much when hit. The Tactical Stock attachment significantly reduces your recoil, so keep your eyes open for one! High damage with a decent fire rate. You'll melt people. Low Muzzle Velocity. Lead your shots at range! Fastest-firing gun in the game. Make it rain! Weakest base damage of all primary weapons. Better hit all your shots! Slap on a Micro-UZI stock to reduce the gun's recoil! High damage. Very manageable recoil. Slow muzzle velocity significantly hurts the gun's performance at range. Great in the early game against players with low-level Armor! Incredibly fast fire rate and decent damage. Very low base magazine size (13 rounds). The Vector can also utilize a Tactical Stock, so keep your eyes open for one! Highest damage in SMG Class. No option to add optics. You get to look like a Prohibition-era gangster. Already comes with a built-in Suppressor and Scope. Incredibly low damage. Easy to drain magazine (10) in full-auto. You can go full-auto with it! Great for when you get caught off-guard in close quarters! Very fast and accurate. Highest muzzle velocity and magazine size in class. Low damage and impact power. Requires many body shots to kill. Its 20-round magazine and low recoil make sustained fire a viable option. Great customization options. Gun can take a bunch of attachments. Spamming shots send the recoil out of control. Aim for the head with your first shot, and look to clean up with body shots! Good damage. Full-auto capability. Going prone deploys the built-in bipod and increases your accuracy! One headshot instantly kills anyone without a Level 3 Helmet! Slow fire rate and low ammo capacity makes missed shots very punishing. Hold Shift to hold your breath while scoped in to increase your accuracy! Very high damage and impact power. When you hit someone, they'll really feel it. Highest damage gun in the game. Will ALWAYS kill with a single headshot. Uses .300 Magnum ammo only found in Airdrop Crates. Good damage. Great against unarmored players. Low base magazine size (7). Throw a Red Dot on it and go for headshots! Just one headshot will kill an enemy without a helmet. Very fast fire rate. Only pistol with full-auto capabilities. Hard to find. Easy to drain the magazine with uncontrolled fire. An Extended Quickdraw Pistol Magazine is the P18C's best friend. Best range and fire rate of all shotguns. You've only got two shots. Don't miss. Throw on a Shotgun Choke for increased range! High damage. Five-round capacity offers flexibility. Slow to cycle rounds. Take your time with each shot! Shotgun Bullet Loops increase your reload speed! Lowest range of all shotguns. 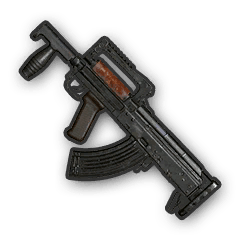 The gun takes the same magazine attachments as Assault Rifles. Slap on an Extended Magazine if you can! HUGE ammo capacity. Built-in bipod auto-deploys when prone. Recoil heavy when not prone. For the truly desperate players (or montage hunters). Super popular in sugar cane harvests and lakeside horror plots. It doesn’t take a theoretical physicist to use one of these. The Pan is actually the strongest melee weapon in PUBG and, when equipped, offers the benefit of shielding your character’s lower back from bullets! If you run with it in-hand, it will actually block shots from the right that may have otherwise hit your head. Perfect for frying up chicken dinners!